Metabolic syndrome describes the co-occurrence of central adiposity, dysglycaemia, hypertension, lipid abnormalities and a number of other metabolic changes that increase risk of cardiovascular disease. 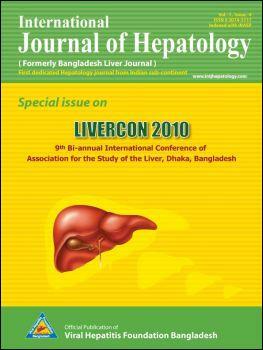 This multi-system condition has adverse effects on many organs, the liver being one of them. Non-alcoholic fatty liver disease appears to be the hepatic manifestation of metabolic syndrome, and is increasingly recognised as a major contributor to the burden of chronic liver disease world-wide. Metabolic syndrome and non-alcoholic fatty liver disease appear to have a common pathogenesis, arising from insulin resistance, central adiposity and chronic low grade inflammation. Treatment of metabolic syndrome may have a significant impact on progression of non-alcoholic fatty liver disease, and therapeutic options treating the underlying cause of metabolic syndrome (weight loss and insulin sensitising drug therapy) appear to be valid options in treating liver disease to prevent progression to fibrosis and cirrhosis. Recent studies suggest a possible role for vitamin E. Prevention of obesity is extremely important to reduce the risk of this condition leading to a growing cause of liver morbidity in the future.